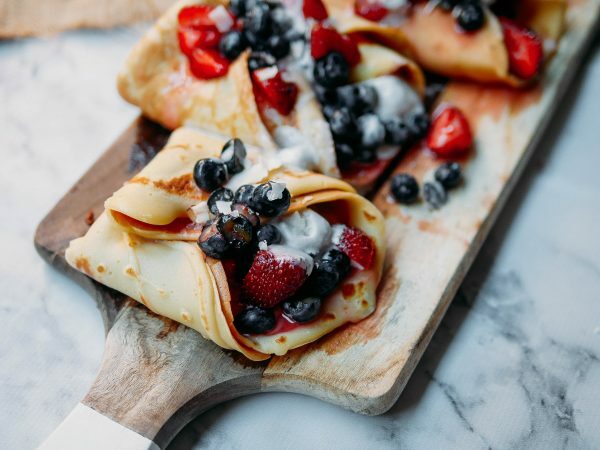 When ready to serve add in a serving of the fresh berries and fold crepe. Top with coconut yoghurt. Enjoy warm!